I have look through their site and I have set my eyes on three items. next is their blusher in Rose Gold (most people says its a dupe for Nars Orgasms just slightly different in colour) and Pomegranate. and lastly, their lipstick in Coral Reef. Other colours look intimidating but this one caught my attention. It is actually an orangey red colour (not like in the picture). 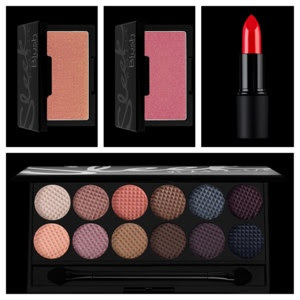 The great thing about this Sleek MakeUp is that they ship worldwide. Yay!! From most reviews that I have read, their colours are highly pigmented so we need to use a light hand in application. I might try to order these sometime next year. :) Insya Allah..